Blog | Air duct cleaning method: Which is the best? Air duct cleaning method: Which is the best? One of the things that HVAC experts have an agreement on is how inadvisable letting harmful and dangerous microorganisms freely grow inside your ducts. If this happens, you will inevitably subject the whole family to needless health risks like asthma, allergies, coughs and the like. It is for this reason that you must not forget to invest in air duct cleaning at least once every 5 to 6 months. Doing this surely ensures better indoor air quality at home. 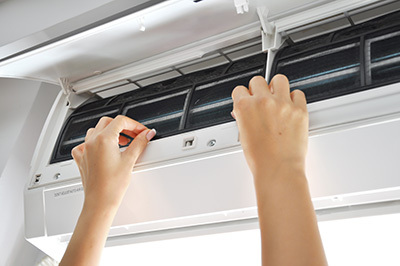 There are a couple of ways and methods to perform air duct cleaning service. The most common of these are steam cleaning; the truck mounted vacuum method, and the point of contact cleaning. As for the first type, it makes use of a wand or a rod that delivers high pressure and high temperature steam in order to agitate the debris that got stuck on the duct walls. After this, said dirt is then sucked into the vacuum, leaving the ducts clean. It should be noted however that this kind of method is no longer recommended by experts because most of the modern ducts and ventilations nowadays are quite dependent on electricity for better efficiency. As such, lest you want something in your house or office to short circuit, it is best not to employ this method with air duct cleaning. Another method is the truck mounted vacuum. This works with the help of a power take-off (PTO) shaft of a vehicle, which powers the vacuum used while cleaning. What happens is that the powered vacuum hose is connected to the ventilation system. 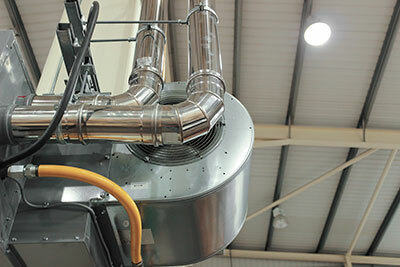 And while the air within it is being drawn into the hose, air lines or rotary brushes are inserted in the ducts and vents to agitate the dirt, making it easier for the same to get sucked into the vacuum. Although very efficient, you will find that most companies are now veering away from this method due to the possibility of cross contamination. Lastly, there is the point of contact method, which is considered the most effective and safest way to clean air ducts. This makes use of a HEPA filtered vacuum, which is portable.It cleans the ducts simultaneously with an agitation device.